Here's the wonderful video game companion to The Witcher's universe. It's a nicely bound 184-page hardcover published by Dark Horse. The book was released to coincide with The Witcher 3: Wild Hunt which was out on 18 May 2015 so you can expect a lot of spoilers within. It's best to go through the book after you've finished the game. By the way, there's actually a dedicated artbook just for The Witcher 3: Wild Hunt but that's only available in the collector's edition of the game. 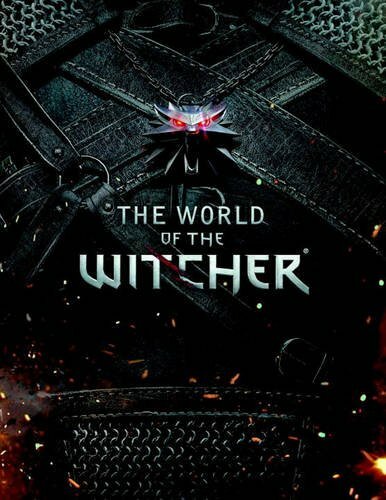 The difference is The World of the Witcher covers the game world as a whole. The text is written from the perspective of Dandelion, friend of witcher Geralt of Rivia. Included are the histories of the wars, empires, people, creatures, religion, cultures and other folklore, and snippets of text supposedly extracted from tomes and diaries of the inhabitants. There is a lot to read, probably half the book is text. The interior pages are nicely laid out with beautiful artworks and text. There will be at least two pieces of art for every two pages. The artworks are a mixture of concept art and also the high resolution rendered stills of scenes and characters from the game. The environment paintings are really beautiful but most are printed at half page size, which is not too bad. There are also full page and double page art. Highlight of the book is the folklore and history of the Witcher's world. The beautiful artworks complements the book well. This book will no doubt be a very satisfying compendium for the fans. And for the price it's selling at, it's a good deal. Highly recommended to fans of The Witcher.